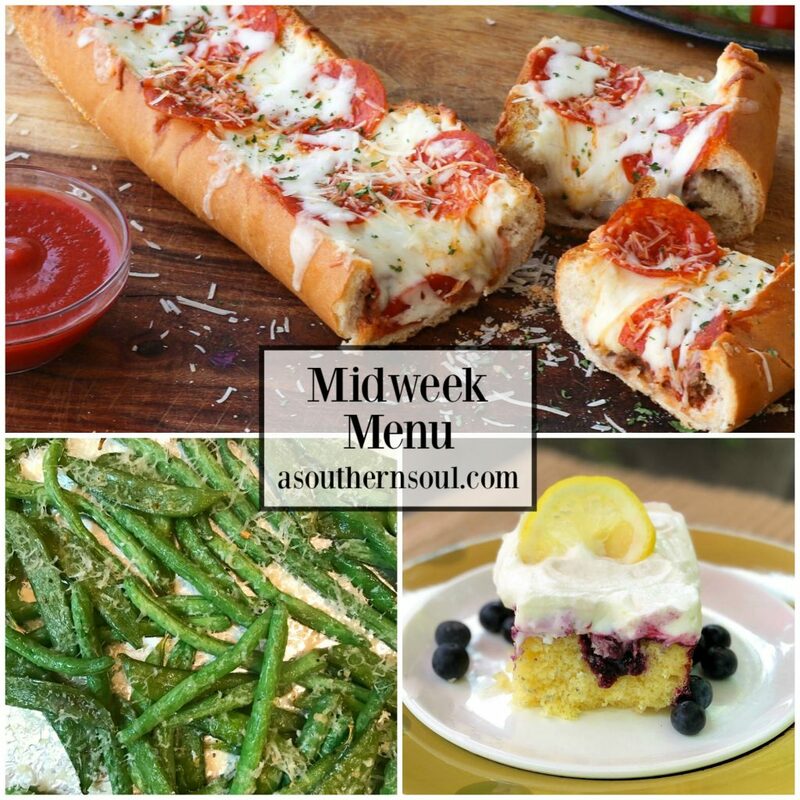 This weeks menu is sure to have your loved ones running to the supper table! 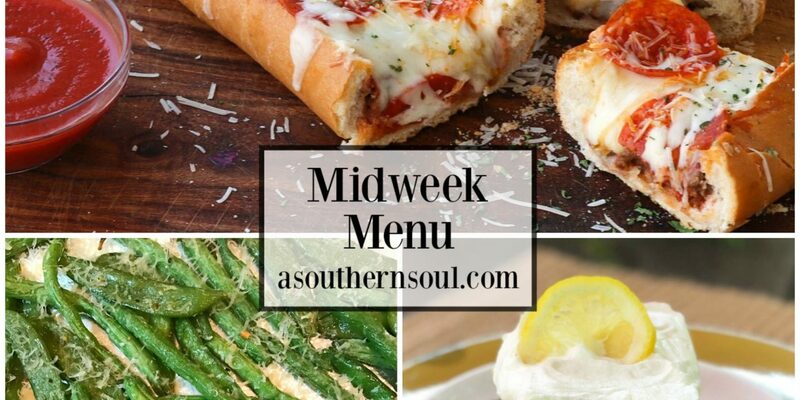 French bread stuffed with meat and cheese, Parmesan green beans and a fresh, lemon, blueberry poke cake are featured on Midweek Menu. 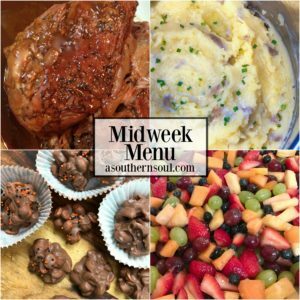 I am tickled about this weeks menu! I know when I say that, some folks might roll their eyes, but it’s the truth and I’ll tell you why. Getting a really good meal on the table for my family can sometimes put me into a funk. I want to do right by them but there’s times that I just don’t feel like cooking. So, when this happens, I get focused and pull out recipes that I enjoy making. That’s what happened with this menu. 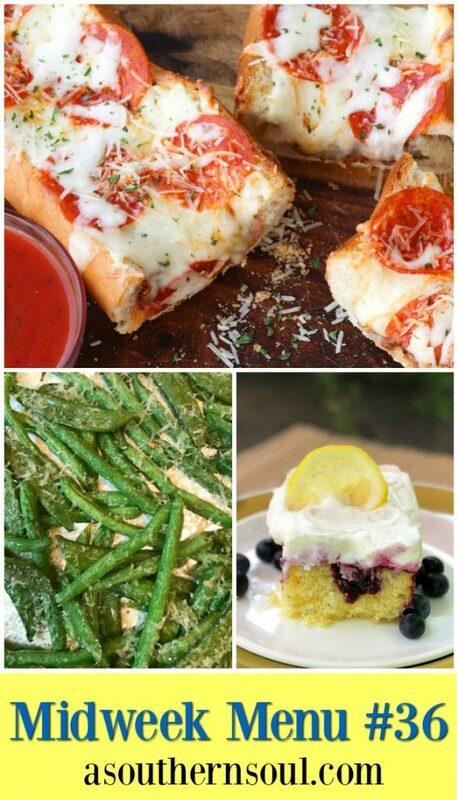 There’s a store bought short cut with the french bread pizza, the green beans are super easy to make and that poke cake…well, it’s loaded with fresh flavor and that seals the deal for me. Happiness abounds…for everyone! To make this menu for your family, just click on the recipe for the ingredient list and cooking instructions. I’m also including tips on how to prep and make these recipes ahead of time. Prep the bread ahead of time, make the sauce or buy from the store and saute the beef. Put the “pizza” together the evening you want to serve it. Wash and prep the beans when you bring them home from the store. 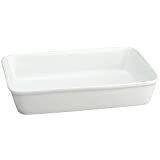 Store in the fridge until ready to use. Make the cake the day before you want to serve it. Finish it with fresh whipped cream right before you serve it. Make sure to FOLLOW A Southern Soul on Pinterest! 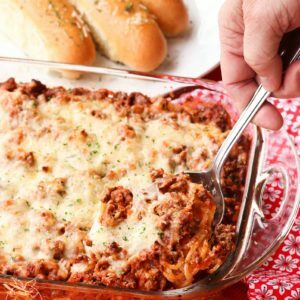 PIN here to SAVE all three recipes. 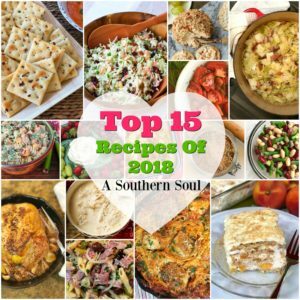 Top 15 Recipes of 2018!